SpinLife is your number one source for Nova walker parts and accessories. 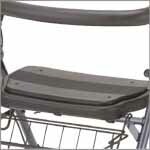 This section includes the most commonly purchased replacement parts for all Nova rolling walkers. If you don't see what you need here please call us at 1-800-850-0335 with the model of your Nova rolling walker and we will get you the correct parts. 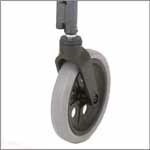 If you need to replace an axle screw or walker wheel for your Nova walker, look no further. 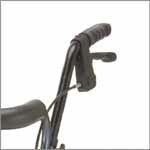 Spinlife offers an assortment of screws and wheels to make sure you stay mobile and independent. Our selection of Nova brake and miscellaneous parts can help get you out and about in no time. From brake cables, cable cords and handbrake levers to miscellaneous screws, replacement forks and handles, we’ve got just what you need to keep your walker mobile. 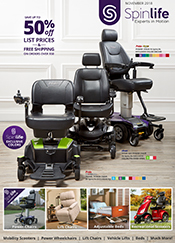 The seat and backrest of a walker experience wear and tear over the life of your walker, but that doesn’t mean you need to get a new walker when they wear out. With our selection of Nova replacement seats and backrests, you’ll be able to increase the life of your walker and ensure your independence.